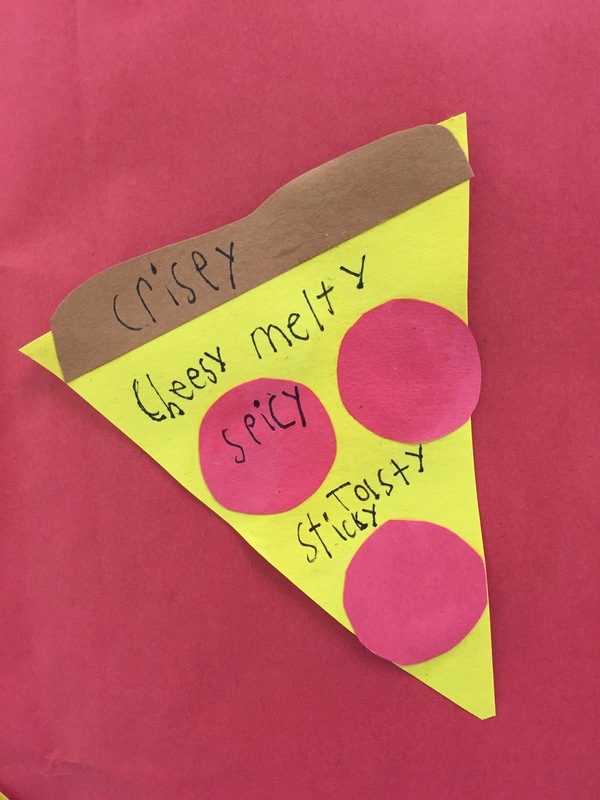 For our May hallway display I came up with an idea to incorporate a craft and something my students needed some major help with: adjectives. 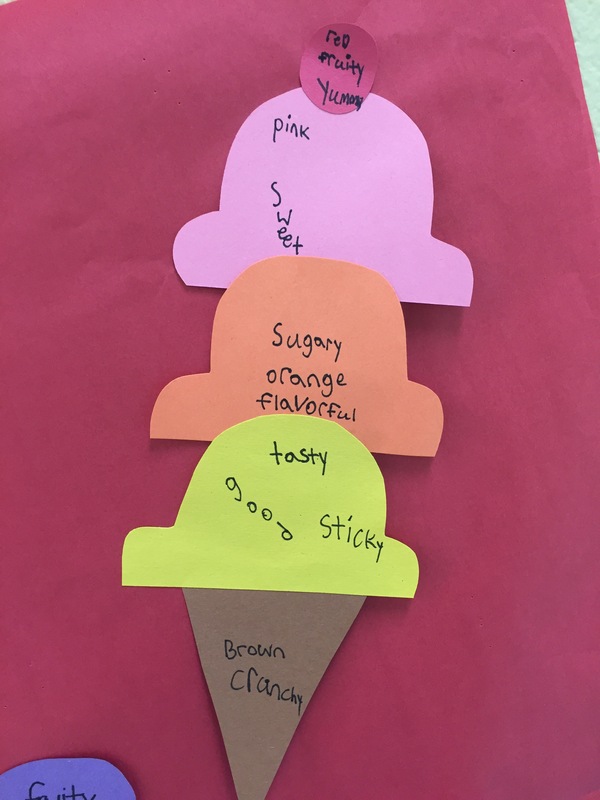 They were struggling to understand adjectives and identify them within a sentence, so we spent some time talking about what adjectives are and brainstorming adjectives to describe how a noun looks, feels, smells, tastes, and sounds. 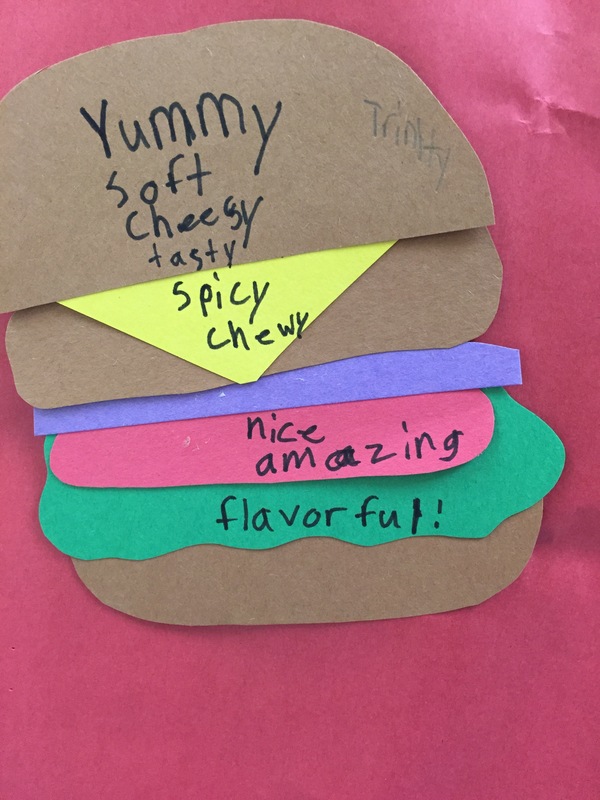 After, the students were given a food that they were responsible for not only putting together, but describing using the best possible adjectives. 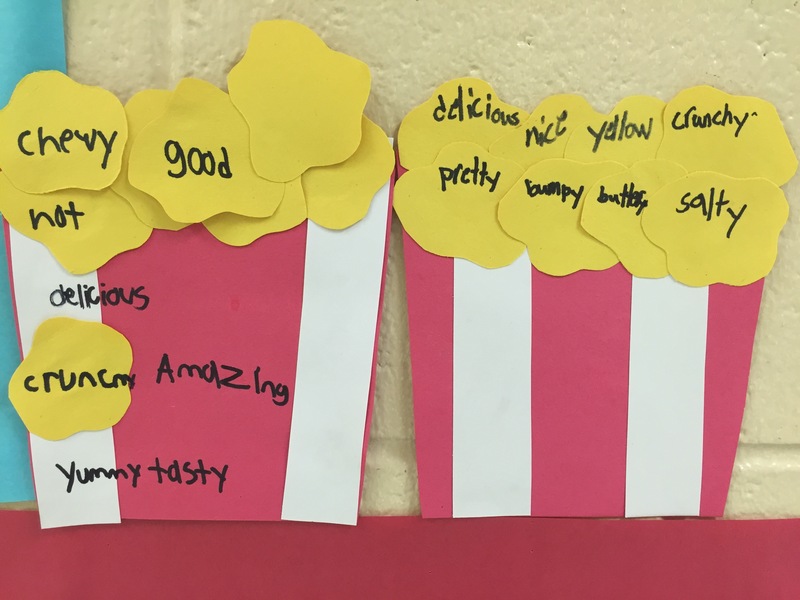 It came out great and truly helped the students get a better grasp on adjectives and how they’re used!